Using a Technogym machine at the gym today got me thinking about what a good job this company have done in building a true business-to-business brand, especially given the competitive market they operate in. The fitness industry is undergoing significant change, with many new forms of training (boxing, martial arts, military-style training etc.) and a multitude of fitness apps allowing you to monitor your activity levels. In the face of these challenges, Technogym is in good health: 2017 revenue of c.€600million was up 7.7%, with profits up 40%. A total of 35 million people use Technogym products every day in 100+ countries in 65,000 gyms, in addition to 200,000 homes. Below I explore some of the success factors in the company’s brand and business growth. Technogym has a clear sense of purpose: ‘to help people live a better life through wellness‘, summarised with the idea, ‘Let’s move for a better world‘. This goes beyond the product, gym equipment, to capture the role the brand wants to play in making everyday life a little better. Technogym is great example of a company led by a ‘brand CEO’, who is the living, breathing embodiment of the brand. And what an interesting guy Nerio Alessandri seems to be. After education as an industrial designer he founded Technogym in 1983, at just 22 years of age. He designed and built the first pieces of gym equipment in his own garage (see below), combing his design skills and an enthusiasm for sport. In the early 90’s he was a forerunner in defining the concept of ‘holistic wellness’: improving quality of life through regular physical activity, a healthy diet and a positive mental attitude. And he is still leading the company today. Alessandri’s commitment to wellness is dramatised by the ‘Romagna-Wellness Valley’ initiative, promoted by the Wellness Foundation he created in 2003. The goal is to “create Europe’s first wellness district” in Technogym’s home region, “a living laboratory on enhancing quality of life by leveraging wellness.” This involves a whole series of health & wellness initiatives, including restaurants, sports facilities, research projects and an impressive company HQ, the Technogym Village , a 60,000 m2 campus dedicated to wellness (below). And it seems to be working: Romagna was judged to have the best quality of life in Italy in one newspaper report (1). Technogym’s products combine visually attractive Italian design with functional performance, based on scientific and medical research. Distinctive black and yellow colours used on all equipment help the brand stand out and be easily recognised. The company constantly renovates the product line to improve the user experience. 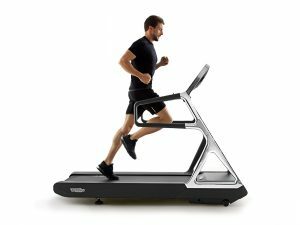 For example The latest running machines feature new and improved consoles with a wide range of entertainment and training options, along with high-performance Dolby Surround Sound speakers as you train. And strength equipment has a neat visual console that track reps and helps you do the movements correctly. The company has harnessed digital-enabled fitness by creating a ‘Technogym Ecosystem‘ with the My Wellness app. This allows users to access personal fitness information and training programs on any Technogym machine in the world, from any personal device (mobile, tablet, smart TV, Apple Watch). 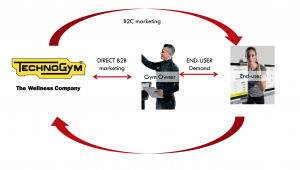 Technogym is active in helping gym operators and personal trainers be more effective in using the brand’s equipment, providing courses and software applications. 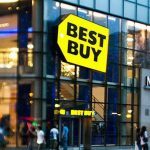 These added value services make the brand more attractive to new customers, and encourage loyalty from existing ones. Technogym is also a great example of using what we call ‘brand social responsibility’ (BSR), where the social activity is baked into the end-user experience. This contrasts with corporate social responsibility (CSR), were the company just raises and donates money to a good cause. ‘Let’s Move for a Better World’ is a social campaign that aims to raise awareness in the fight against obesity. 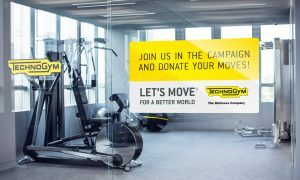 Gym members around the world donate their ‘MOVEs’ as tracked by Technogym’s digital ecosystem. The campaign encourages people to be active and get fit. In addition, the gym facility in each country collecting the most MOVEs gets to donate state-of-the-art Technogym equipment to a local school or non-profit body. In a clever move to encourage gyms to drive end-user participation, a representative from each of participating facility is invited to attend a special conference and event the Technogym Village. Impressively, Technogym has run this campaign over multiple years, building ‘memory structure’ by creating a distinctive brand property. 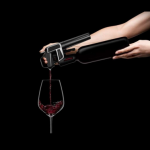 The growing participation in the campain shows the power of ‘fresh consistency’ and how you don’t have to re-invent your marketing plan every year; marketers get bored before customers and consumers do! In conclusion, Technogym is a shining example of how to build a strong business-to-business brand, harnessing distinctive product design with value-adding services, for both end-consumers and customers.